I came across a situation today where there were two questions, one, the original, which shared the same title as another, which simply added a 2 to the end. 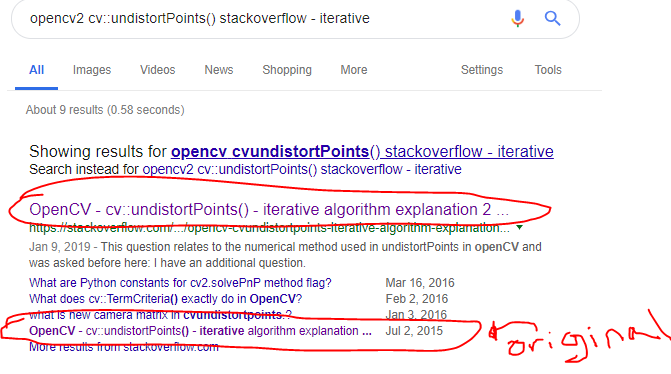 The problem is that the second one is not a duplicate of the first (and even references the first one), asks a different, but I guess related question? I've commented on the post asking the user to change their title, but beyond that how do I handle this kind of situation? This question was asking for clarification on an answer. In theory, that falls in the realm of a comment. However, given the expanded nature of the new question, and the dispute of the previous answer's claim, it seems like it would also fall in the category of a new question. Moreover, answerers often request separate questions be asked for situations where there is a specific issue with an answer. So, it is a grey area. In all honesty, without this meta post I highly doubt anyone would have even noticed the new question for quite some time. The previous, very similar, question was asked 3 and a half years ago and only received 832 views so far. As such, I don't think it is harming anything to have it. I also don't think there is any need to take action against it; asking for a clearer title was appropriate though, as it needed to distinguish itself as different. Not the answer you're looking for? Browse other questions tagged discussion questions title quality-improvement . Should established questions be closed due to newer close reasons? Parts of the question as answers? How to handle questions with a title that turns out to be invalid?